Washington D.C. October 26, 2005 - Alexander Nikolaevich Yakovlev, who died in Moscow last week at the age of 81, was probably the best known "architect of perestroika." Soviet ambassador to Canada, then member of the Politburo and Mikhail Gorbachev's closest adviser, he could rightfully be called the "Father of Glasnost." Alexander Yakovlev rose through the Communist Party ranks to become one of the most vocal critics of the Stalinist past and a passionate advocate of democratization in the second half of the 1980s. He was one of the people history will credit for his role in helping to end the Cold War. Yakovlev was born in a peasant family in the Yaroslavl oblast, fought in World War II, and was badly wounded in 1943. In the same year he joined the Communist Party and became a professional "apparatchik." 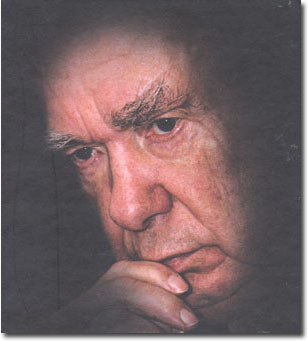 In 1972, during the Brezhnev years, after publishing an article in Literaturnaya Gazeta (on a dispute within the Writers' Union) that was considered "unpatriotic," he was sent to Canada as ambassador. In 1983, he was allowed to return to Moscow to assume the position of director of the prestigious Institute of World Economy and International Relations, which soon became a bastion of reformist intellectuals and one of the springboards of perestroika. Soon after becoming general secretary in 1985, Gorbachev quickly recognized Yakovlev's potential and promoted him to head the Central Committee's Propaganda Department. In 1986, Yakovlev became secretary of the Central Committee in charge of ideology and in 1987 a full member of the Politburo. His role in promoting freedom of the press, political openness and democratization has been widely noted by observers of the Soviet political process of the late 1980s. Recently released documents from the Yakovlev Collection of the State Archive of the Russian Federation (GARF) show the unprecedented scope of issues on which Alexander Yakovlev exerted influence within Soviet decision-making circles under Gorbachev. Although we usually associate Yakovlev with glasnost and democratization, it becomes clear from the record that he was also a key reformer when it came to arms control ("untying" the Soviet "package" position on nuclear arms control negotiations), and the Soviet economy. The documents also show that Yakovlev's position was quite developed and consistent very early on, when the rest of the Soviet reformers, including Gorbachev himself, were not yet willing to look beyond the existing one-party system. The following selection of materials are part of a much larger collection of documents from the former Soviet bloc available for research at the National Security Archive. In this memorandum, which Gorbachev requested and Yakovlev prepared the day after Gorbachev's election as general secretary, Yakovlev analyzed President Ronald Reagan's positions on a variety of issues. The analysis is notable for its non-ideological tone, suggesting that meeting with the U.S. president was in the Soviet Union's national interest, and that Reagan's positions were far from clear-cut, indicating some potential for improving U.S.-Soviet relations. In this memorandum to Gorbachev, Yakovlev outlines his view of the needed transformation of the political system of the Soviet Union. Yakovlev writes in his memoir that he prepared this document in several drafts earlier in the year but hesitated to present it to Gorbachev because he believed his own official standing at the time was still too junior. Yakovlev's approach here is thoroughly based on a perceived need for democratization, starting with intra-party democratization. The memo suggests introducing several truly ground-breaking reforms, including genuine multi-candidate elections, free discussion of political positions, a division of power between the legislative and executive branches, independence of the judicial branch, and real guarantees of human rights and freedoms. In this memorandum, devoted to U.S.-Soviet relations and the issues of arms control, Yakovlev proposes a radical breakthrough in Soviet foreign policy. Until now, the Soviet negotiating position on nuclear arms control was based on a " package " approach-tying together progress on strategic nuclear weapons, intermediate-range weapons and forward-based systems in Europe, and the issue of anti-ballistic missile defense. Gorbachev's insistence on the package approach and Reagan's commitment to SDI made a breakthrough at the U.S.-Soviet summit in Reykjavik impossible. Here, Yakovlev proposes " untying " the package and signing separate agreements on each of its elements, arguing that this would be in the Soviet interest. Gorbachev agreed to " untie the package " as early as March 1987. This presentation to the Politburo comes after the January and June Plenums of the Central Committee, which outlined comprehensive programs of reform of the political (January) and economic (June) system, and after Yakovlev himself was promoted to the full Politburo membership (in charge of ideology). This is the first time he unveils his views on democratization--which he considered at the time to be the most important task of perestroika--to the Politburo. These notes represent a summary of Yakovlev's thinking about the most important developments of 1988. His presentation follows Gorbachev's seminal speech at the United Nations on December 7. The notes reflect his first disappointments with the slow pace of perestroika, bureacratic intertia, and the general apathy of the population. Yakovlev argues for more systematic implementation of the principles and reforms of the " new thinking " and gives special emphasis to the U.N. speech, which he calls a " watershed ." In this personal handwritten memorandum, Gorbachev's foreign policy adviser, Anatoly Chernyaev, expresses his discomfort with the way Gorbachev treated Yakovlev at a recent party Plenum. The memo reflects a recent rift between Gorbachev and Yakovlev, which was precipitated by a disinformation campaign initiated by KGB Chairman Vladimir Kryuchkov. Chernyaev defends Yakovlev, emphasizing his intellectual potential and his importance for continuing perestroika's reforms.